Superb ride and on water performance is what your get from the stylish 5.30 Warrior Frontrunner. 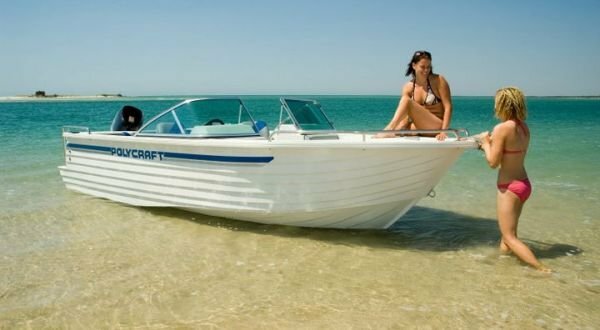 The 5.30 Warrior Frontrunner features a soft, quiet ride in a boat which is big on style and comfort. 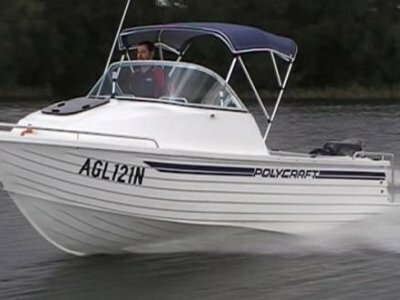 The superb ride quality comes from the unique Polyethylene hull construction which absorbs on-water vibrations into the hull and not the passengers. 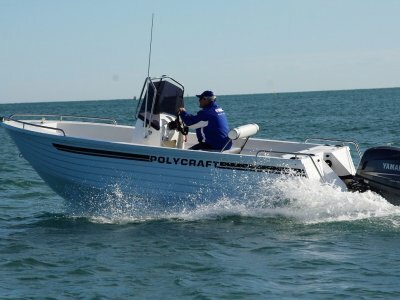 The 5.30 Warrior Frontrunner also features Polycrafts' unique reverse chines, which are incorporated into the hull for unmatched stability at rest. The 5.30 Warrior Frontrunner layout is similar to that of a bow-rider, with two consoles situated behind a wrap around windscreen. A hinged door in the centre of the windscreen provides access to the bow seating, storage bins, and anchor well. It's also an incredibly beamy boat with 2.10 meters of internal beam and 2.40 meters of beam overall. 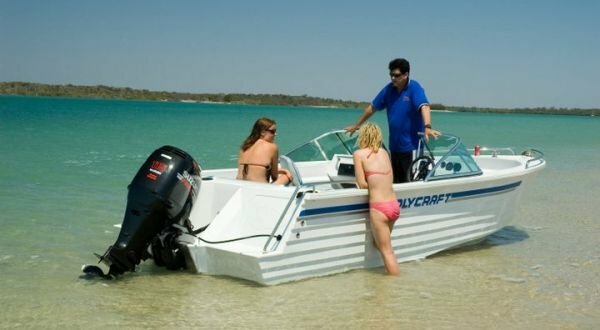 A rear fold down lounge, front lounge and two upholstered swivel seats easily accommodate the maximum carrying capacity of six people, ensuring a relaxing day out on the water for all passengers.